Translation services by Sydney Translations is Sydney’s leading provider of NAATI accredited translation services in more than 120 languages. If you are in search of a reliable, fast and reasonably priced translation service provider, then look no further than Sydney Translations. A world class NAATI accredited translation service needs a world-class team of translators, project managers and multi-lingual typesetters. Sydney Translation has a focus on high quality translations delivered at lightening speed. Our NAATI certified translators are here to assist with all of your NAATI translation needs – whether you need a translation from English into any language, or any language into English. Enquire today to get a free quote for your translation project. If you are in need of a free quote for the translation of your documents, we can assist. Simply complete the free quote request on our website and we will provide you with a free quote via email within 15 minutes. Fill in your details and attach your documents – it’s as simple as that! Document translation services is our speciality. Sydney Translations provides NAATI translation services for all types of documents. We can translate driving licences, birth certificates, degrees and diplomas, academic transcripts, marriage certificates and all other types of personal documents. We also provide translation services of legal contracts, marketing materials, websites, technical manuals and medical documents. Below are some of our most common translation requests. However, no matter what document you need translated, we can assist – simply complete our free quote form. Why choose a NAATI translator? Well, if you need to submit a translation to a Government authority in Australia, it is likely that the translation will need to be completed by a NAATI certified translator. Sydney Translations works exclusively with translators who are accredited by NAATI. Our translations are accepted in Australia for all official purposes such as for submission to the Department of Immigration and Border Protection (DIBP) for visa applications, Australian passport applications, University applications, skills assessments and divorce applications in the Federal Court. Working with a NAATI accredited translator is always recommended in Australia as NAATI is the only accrediting body for translators in Australia. Choose wisely and work with expert professionals who can translate your documents at the highest quality. Sydney Translations can assist you with all of your NAATI translation needs – no matter what language your document is in. Looking for a translation of your foreign-language licence into English for use in Australia? Sydney Translations is an expert when it comes to NAATI translations of driver’s licences – no matter what language your licence is in. 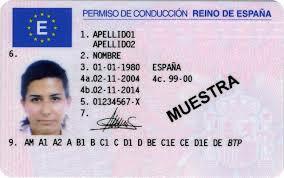 Is your licence in Spanish, Portuguese, Chinese or any other languages? Not a problem! We translate these types of licences every day and we are aware of all the driver’s licence translation regulations in Sydney and Australia. The NAATI certified English translation of your driver’s licence that we provide can be used for official purposes in Australia. Make sure to speak to us about what you need to use the translation for as there are different regulations depending on whether you are in a temporary or permanent visa. 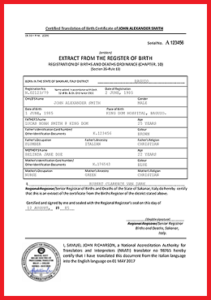 Are you looking to have a birth certificate translated into English? You are in safe hands when you choose Sydney Translations to translate your foreign-language birth certificate into English. With an array of NAATI certified translators available across Australia, we can assist you with all of your birth translation needs. The most common reasons that our customers need a birth certificate translation is for a visa or Australian passport application. No matter what you need the NAATI certified translation for, you can rely on Sydney Translations to help – get in touch today! Marriage Certificate translations are also a common translation request in Sydney. Marriage certificate translations are used for a variety of purposes. One of the more common reasons that our customers request for their marriage certificate to be translated into English is for use in a divorce application with the Federal Court. The Federal Court has special requirements for the translation of Marriage Certificates. The NAATI certified translation needs to be accompanied with an affidavit sworn by the translator, along with a true copy of the original foreign-language marriage certicate and the NAATI certified English translation of the marriage certificate. We can complete this process for you. Our NAATI accredited translators deal with these types of marriage certificate translation requests regularly and as such, we are aware of the requirements that the Federal Court has for marriage certificate translations. Get in touch and we would be happy to assist you with your marriage certificate translation. 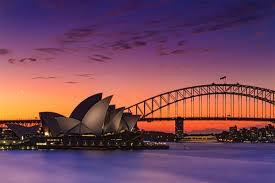 Sydney Translations provides NAATI certified translation services in all languages. Below are just some of the languages that we provide translation services for. The most common request that we have from our customers is for us to translate their documents into English by a NAATI certified translator, for submission to the Department of Immigration and Border Protection (DIBP) as part of a visa application. We translate hundreds of documents for submission to Immigration every year and so we are aware of the requirements demanded by DIBP for immigration translations. All of our translations are NAATI certified so you can feel 100% confident that your translation will be accepted by DIBP for your visa application. Speak to a Sydney Translation customer service officer on our Live Chat to find out more information about our immigration translation service. 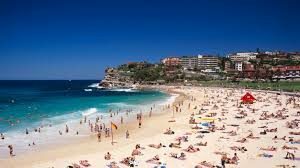 A speciality of Sydney Translation is our legal document translation service. Whether you need a legal contract translated, or you need documents translated as part of a litigation, we are here to help. We can provide fast turnaround on NAATI certified translations and our quality is of the highest standard. We work with all the well-known law firms in Sydney as we are highly regarded in the industry as Sydney’s leading legal translation service. For standard documents such as birth certificates, driver’s licences, marriage certificates, degree certificates and diplomas, we charge a set fee, starting from only $69 per page. This pricing can vary slightly depending on the language that the document is in and the document type that you have, along with the speed in which you need the translation. Pricing for other documents such as legal contracts, marketing material and technical manuals is priced on a per 100-word basis, starting at only $25 per 100 words. Get your free quote today – we will respond within 15 minutes via email.